The answer to this is carefully. Even the simplest of cooking demands a degree of care and attention. But in the end all it involves is first knowing the right way to proceed and then happily being able to boil perfect eggs for the rest of your life without even having to think about it. Obviously every single one of us has a personal preference as to precisely how we like our eggs cooked. Over the years I have found a method that is both simple and reliable, and the various timings set out here seem to accommodate all tastes. 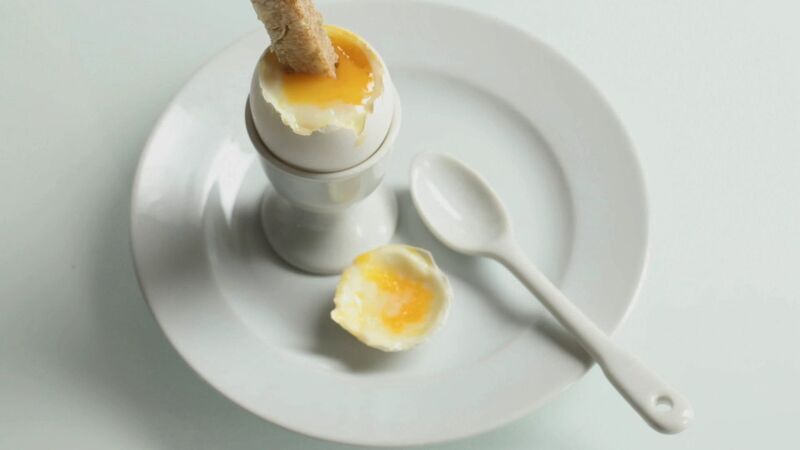 Some people hate soft-boiled eggs and like to eat them straight from the shell, hard-boiled. 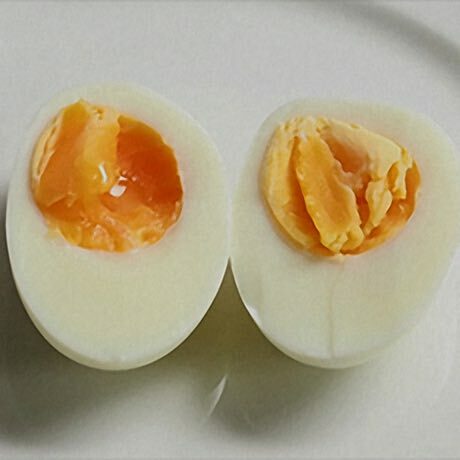 All well and good, but if you want to use hard-boiled eggs in a recipe and have to peel them, this can be extremely tricky if the eggs are too fresh. 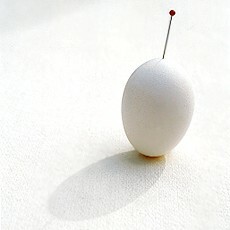 The method is as follows: place the eggs into a saucepan that is the right size so that they sit comfortably and don’t crash into one another (and as an extra precaution, to prevent cracking you can prick the round end of the shell with a pin) and then add enough cold water to cover them by about 1cm. Bring the water up to boiling point then turn to a simmer, put a timer on for 6 minutes if you like a bit of squidgy in the centre, 7 minutes if you like them cooked through. As soon as they are cooked drain off the hot water. Then, the most important part is to cool them rapidly under cold running water. Let the cold tap run over them for about 1 minute, then leave them in cold water till they're cool enough to handle - about 2 minutes. This rapid cooling helps to prevent dark rings forming between the yolk and the white. To peel them crack the shells all over on a hard surface. Then peel the shell off starting at the wide end. After peeling rinse again in case there are any bits of shell still clinging. Once you've mastered the art of boiling eggs you can serve them in a variety of ways. 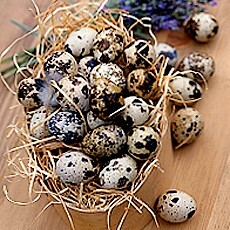 Quails' eggs for boiling should, again, not be too fresh, and these are best cooked by lowering them into simmering water for 5 minutes. Then cool them rapidly and peel as above.